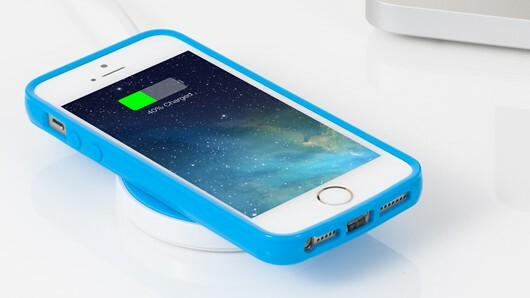 You’ve all heard about wireless charging, right? Its an amazing concept that has been brought to reality, however, did you know that it works underwater as well? 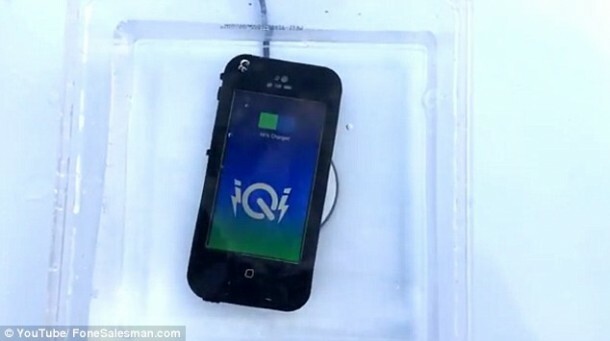 A recent experiment that was carried out proves that an iPhone can be charged seamlessly underwater by making use of a wireless mobile receiver embedded inside a waterproof Nuud Lifeproof case. The experiment had the iPhone 5 sealed inside the case and then dropped onto the charging pad into a tub of liquid. The plate was plugged in beneath the container and hence, remained dry. The phone began charging slowly just like in normal conditions. Bavan Palasanthiran is the founder of FoneSalesman.com working from Harrow, Greater London and is the person who conducted this experiment to provide proof that the firm’s iQi Mobile Receiver can work while being contained inside a sealed case. The case measures about only 0.5 mm thick and the receiver has been designed so that it can work with any wireless pad. Receiver has been snugged under the soft case, Lifeproof case, and plugs into the iPhone’s Lightning connector. Its working principle comes from a theory that was put forward by Nikola Tesla and stated that when an AC is passed through a transmitter coil it creates a magnetic field and this results in voltage production in the receiver coil that can be used for charging a device. For the iQi device, the transmitter coil is thin since the circuits have been printed thus allowing it to fix inside the phone’s case. As per Mr. Palasanthiran, the device is 75% efficient when compared to a conventional charging process that makes use of a plug socket. The iQi receiver will cost you £14.99. How many of you believe that such a device would come in handy? Let us know in the comments section below.